Béla Zsitnik on the right. The other day, Hungarian media announced that Olympian oarsman Béla Zsitnik passed away on 12 January, age 94. 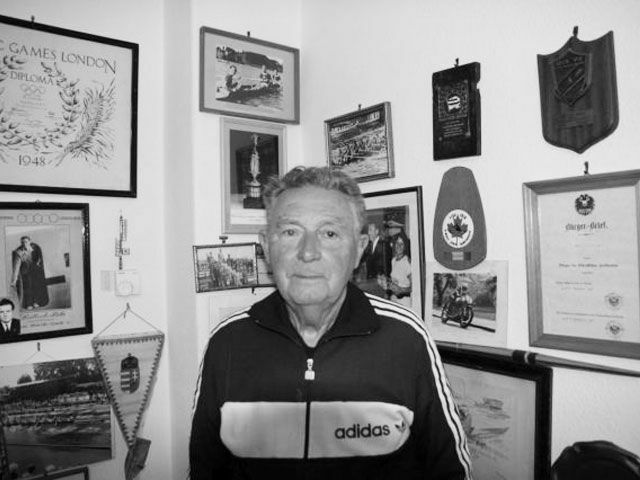 In 1941, at age 17, Béla Zsitnik began his long rowing career that would include 28 Hungarian championships and an Olympian bronze medal in the coxed pair, together with Antal Szendey and Róbert Zimonyi, in Henley in 1948. 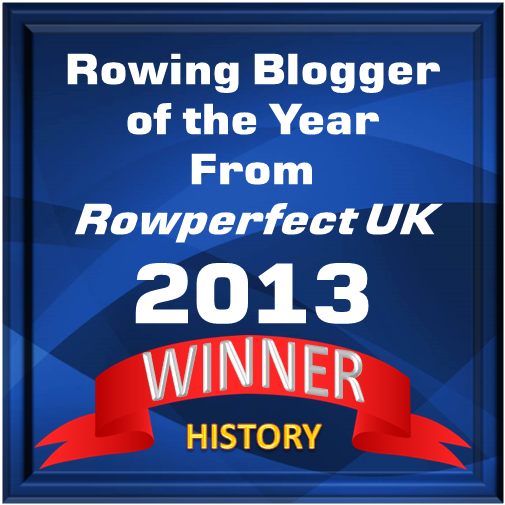 He also rowed in his country’s eight at the 1952 Olympics and in the coxless four in the 1960 Olympics, age 36. 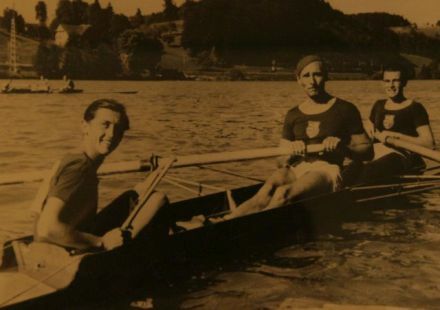 In 1962, Zsitnik retired from active rowing. However, in 1967, he was appointed Secretary General of the Hungarian Rowing Federation. In 1975, he was appointed CEO of MTK Sports Facilities Supply Company. He retired from there in 1986. His son, Béla Zsitnik, Jr., also became a successful rower, racing in the Hungarian eight that placed fourth in the European Championships both in 1971 and 1973. The eight also placed first in the B final at the Olympic Games in 1972.